Reading Kalidasa on Kindle: an amalgam of old and new. Reading is the most productive and purposeful habit one can cultivate. Joseph Addison, an English playwright, poet and essayist, aptly stated, “reading is to the mind what exercise is to the body”. Our minds have to be exercised if we want them to remain sharp and alert. However, reading is not an activity which everyone enjoys. Once upon a time, books were found only in monasteries. Monks would painstakingly transcribe the ancient manuscripts on palm leaves, tree barks and parchments. In those days, monasteries became the centers of knowledge and learning because of the presence of wise men and books in them. After the introduction of the printing press, books started to become available to people, but only the rich could afford them. With the revolution in the printing technologies, books came within the reach of the common man and the monopoly of certain sections of the society over the knowledge had vanished. However, reading habit is slowly diminishing with the passage of time. People have become more career oriented and restricted their reading only to their respective subjects, that too to the short-term reads. Poetry has almost gone extinct. Simple and lucid prose, that too very short, has become the order of the day. This is an age of microblogging where writers tweet their 140 characters, that too in an internet slang, and the readers, who are hard-pressed for time, feel satisfied with reading those 140 lettered sentences. The facebookers don’t have the time, except to click the ‘like’ buttons below the pictures shared by their near and dear ones. As every other human activity, reading has also undergone a revolutionary transformation. People are no longer storing the hard copies of their favorite books in almirahs and flipping through their leaves. 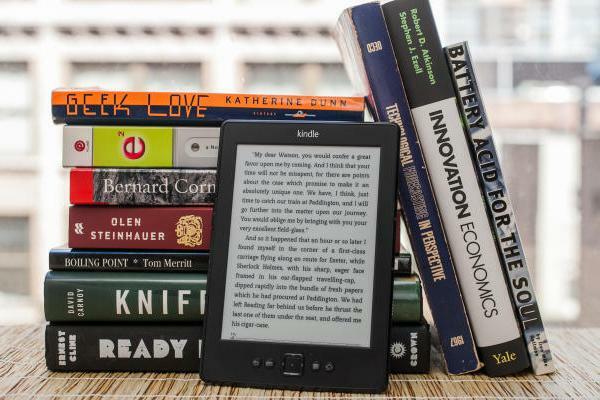 E-readers like Amazon Kindle and Barnes & Noble NOOK have brought about a complete change in the way people read. E-readers are the fad of the day. If you own an e-reader, you need no longer allot a room in your house to store books. You need no longer visit a brick and mortar bookstore to browse through their collection of hard copies to own some of them. And, you neither have to keep a dictionary with you to deal with the dearth of your vocabulary nor do you have to refer to encyclopedias to fill the gaps in your knowledge. And, you don’t even have to look for a proper ambiance to read your favorite books. An e-reader like Kindle or NOOK can store a small library in its memory. You can just search online for the title you want, pay online and the ebook will be delivered to your wi-fi connected e-reading device. The e-readers like Kindle and NOOK have everything you need to read a text and master it. They have inbuilt dictionaries and you can even access online knowledge resources like Wikipedia. And, you can read them sitting wherever you want, either in the bright sunlight or in a pitch dark cave. The e-readers have truly made the lives of bibliophiles enjoyable and exciting. The other day, I was searching for some books on Amazon portal and found that most of the books authored by the 5th century classical Sanskrit writer, Kalidasa, are available in Kindle editions. Kalidasa wrote his books on palm leaves and we, in this 21st century, are reading his books on Kindle and Nook. This is indeed an amalgam or the ancient and the modern. This entry was posted in Lifestyle and tagged e-readers, Kindle, Nook, reading on March 29, 2016 by Dr. Ramachandra Reddy.